Openers have been created to ensure that your garage doors can be operated automatically while also adding a little extra security measure to your home. Be sure to contact our expert team if you need any opener installation, maintenance or repair. 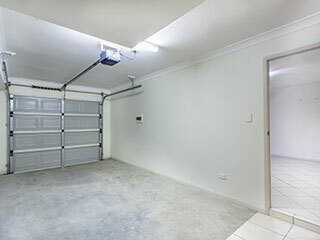 Having an opener installed is a great way to optimize your garage door's performance. Since we work closely with various leading manufacturers, we're able to provide our customers with a wide selection of models to choose from, each with its own specific benefits. Once you've decided on a model that best suits your home, our professional technicians will install it with meticulous care. Even the highest quality openers are likely to break down after a while, due to the many moving parts involved in their operation. This is why it can be necessary to have these malfunctioning parts repair or replaced, depending on the severity of their problem. Weather conditions and moist climates may also increase potential rust accumulation, which will gradually weaken the motor of your opener. With adequate maintenance, your opener will be able to extend its functional lifespan without requiring untimely repairs. It is recommended that you get professional maintenance checkups conducted on your unit at least once a year to ensure that things continue to perform up to your expectations. From testing out the safety sensors and making sure they're properly aligned, to replacing a faulty gear that's become too worn-out to perform optimally, our expert technicians will help your system stay at an optimal level for as long as it possibly can. If you need to have a new opener installed in your home, or you simply want to have your current one serviced for maintenance, our technicians at Garage Door Repair Peoria are waiting to help you out. Call us today.